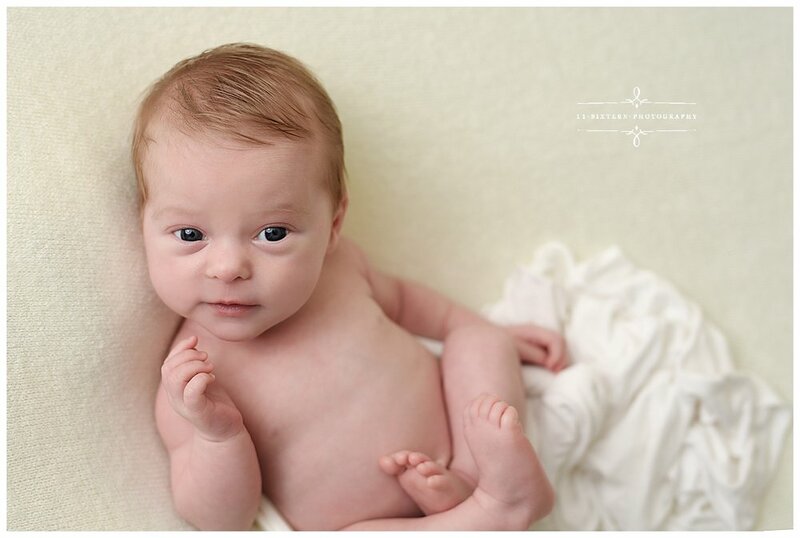 Newborn baby Brie was in the studio in early December for her session with Kelly. This neutral photo shoot with muted pink, ivory and beige was brought to life with a unique Fall wreath and ever-so-delicate headbands, giving the overall collection of photos a beautiful, feminine touch. This Dandelion Yellow wrap, headband and blanket have me thinking of Spring! 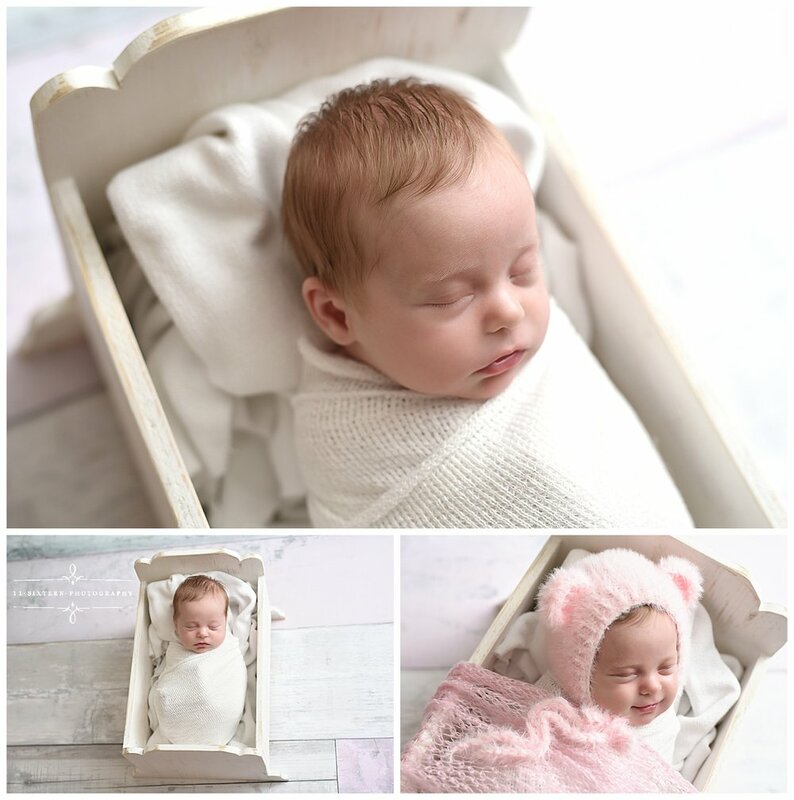 But June’s newborn session was actually shot back in November. 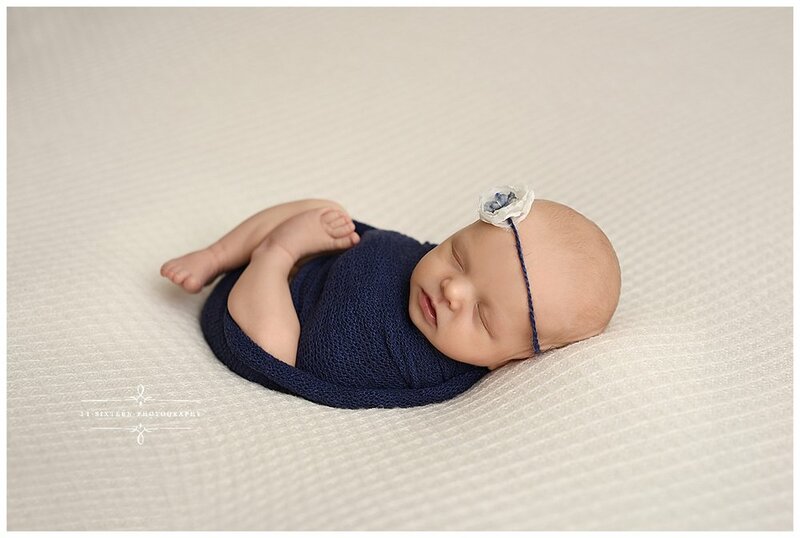 Kelly pulled together sets of Navy Blue, Ivory and Tiffany blue, with some splashes of Raspberry Pink and Gray for a beautiful collection of newborn photos. Saavi gave us the slightest grin in this first photo from her newborn session. Her session features a neutral ivory with splashes of wine red and blush pink. Coming in around the holidays meant she also got a snowy sled photo! Scroll to the bottom to see how protective big brother is over his baby sister! Delaney’s Newborn session is so vibrant with shades of mustard yellow and wine red. Kelly brought Fall into Delaney’s session with this charming wreath that is brimming with fall foliage. This theme continues through all of the sets she used for this session. Sweet Millie looks so cozy all wrapped up in ivory and snuggled in this basket! Millie’s session includes neutral shades of ivory and gray, with a splash of yellow. Kelly also put together this rose pink set that matches that beautiful lace trimmed bonnet. 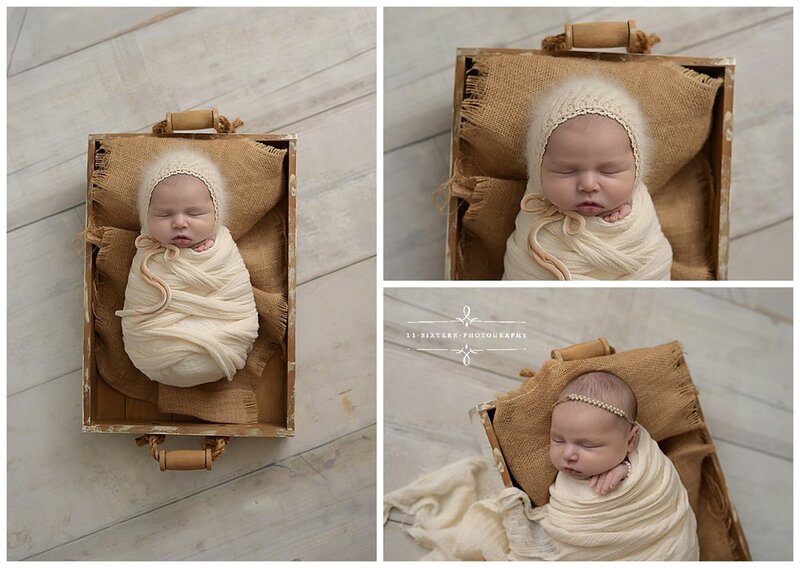 Loving the variety of looks we shot with Gracelyn for her newborn session. This Fall wreath was perfect for a Fall newborn session. Absolutely LOVE the boldness of these photos with the mint and navy. 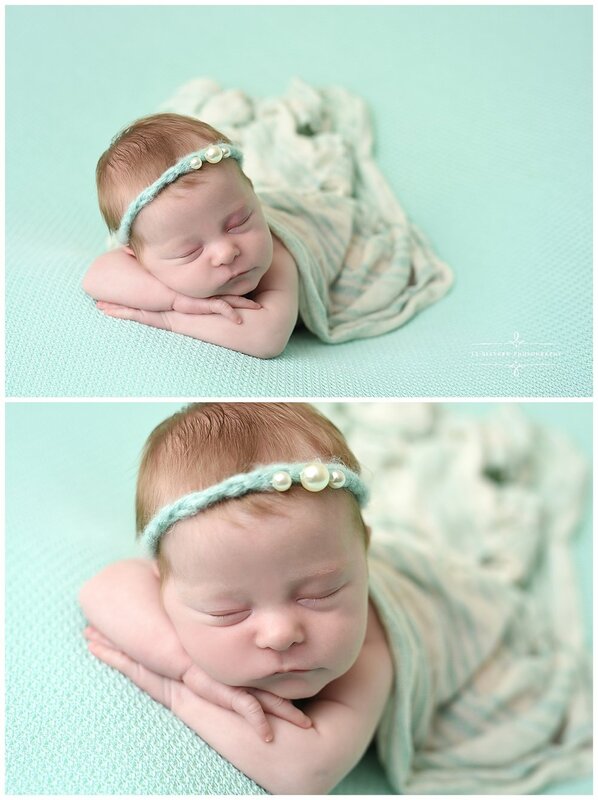 I am so partial to this aqua/mint blue color on baby girls! Proud big brother is such a cutie! Beautiful Virginia makes the perfect model for a Valentine’s Day blog post, surrounded by Ivory Flowers. The shades are pink and gray in these photos are stunning. These photos take a bolder look with navy and yellow. 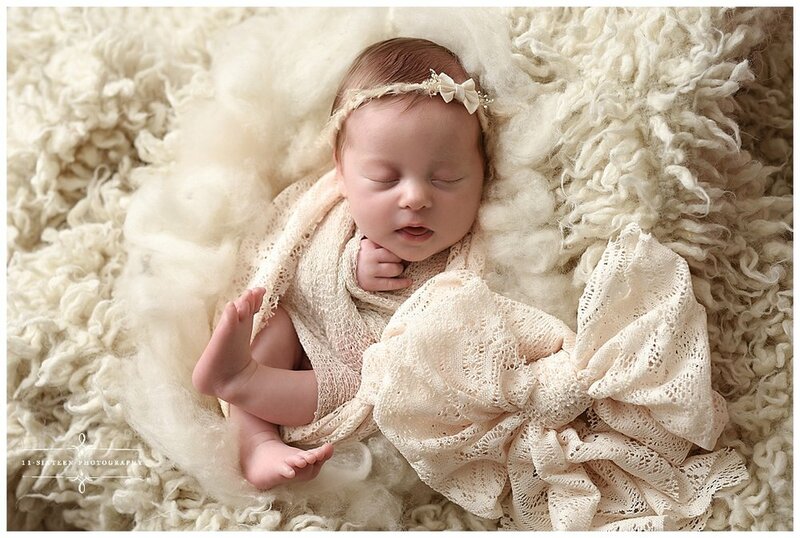 This delicate lace outfit gives us a peek at those sweet baby rolls! These two shots below made me giggle. This is #reallife with a sibling. We can’t decide which we like better - black/white or color? This big lacy bow is bigger than Olivia! Shades of pink in this floral basket collection. I wish there was context to show just how tiny this bed is!